Click here to get started on a full application. Click here to have a recruiter call you. Submit the form below and our recruiting staff will contact you within 24 business hours. You can also call us at 888-671-7979. 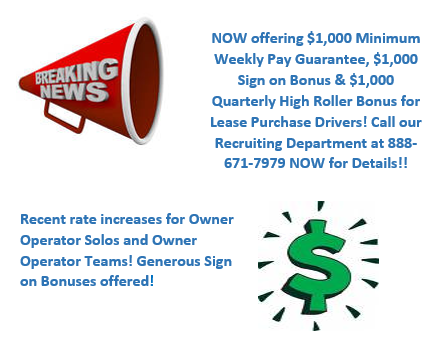 Lease Purchase Drivers receive $1.10/Mile plus fuel surcharge and are eligible for our Triple Play Program!